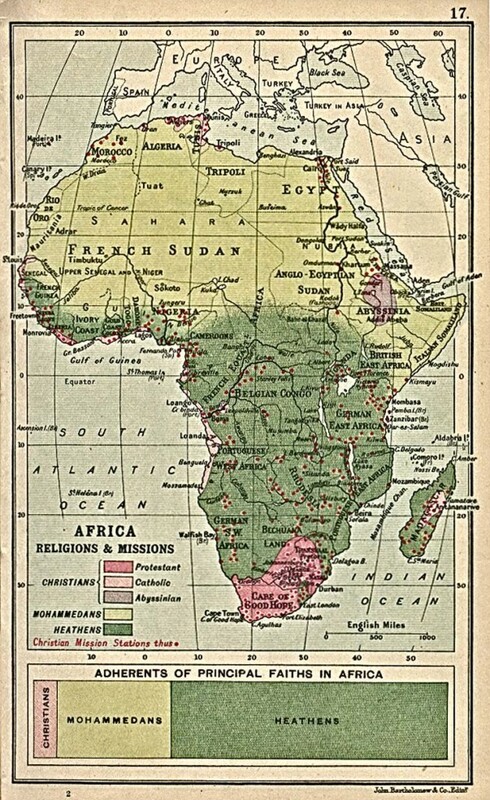 The Last 100 Years of Christianity in Africa – Called. Convicted. Converted. The state of things is very clear. In 1910 Christianity was sporadically existing in Africa, with really only South Africa having a dominant Christian witness. The North is mostly Muslim, with the central nations remaining predominantly committed to their tribal religions. Moving forward we see the expanse of both Islam and Christianity from 1860 to 1900. 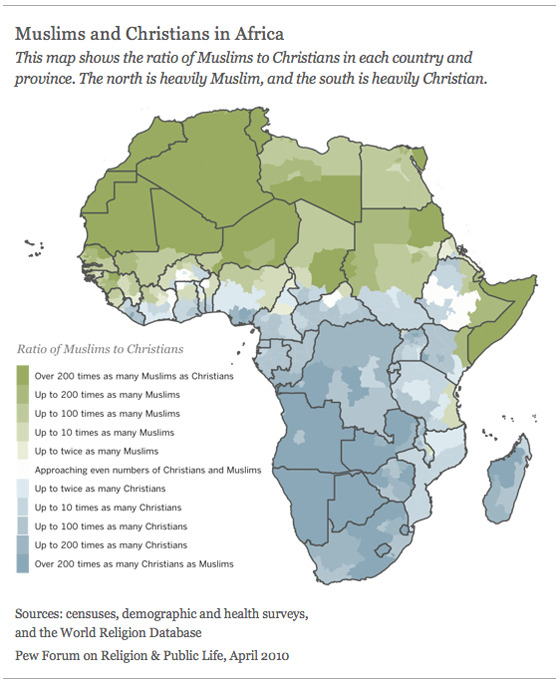 Notice how from the small Christian sections there is a spreading out into the rest of Africa. With the ceasing of Islamic military invasions and the curbing of the Muslim slave trade, the inroads made by it into Africa are far less. This excites me. Its moments like this that I get optimistic about the future of Africa. Where will things go? What does God have in store of this continent? A few things need to be observed about the state of Christianity in Africa. 1) In 2010 a study done by Pew Forum showed that 25% of Christians in Africa still believe that sacrificing to the ancestors or spirits can help them . 2) Sadly one of the exports of American ‘Christianity’ has resulted in 56% of those calling themselves Christian believe God will grant wealth and good health to those who have enough faith . The prosperity gospel is rather widespread and obviously will have a negative impact on Christianity. 3) Pentecostalism is rife, making up the majority of protestants in most African Countries . What strikes me about the place where Christianity is in Africa is that it resembles pre-reformation Europe in many ways. Both were extremely superstitious; both had the impending threat of Islam; both viewed giving money to the church as a means of earning God’s favor; both lived in elevated levels of poverty; and both live with a dominant form of Christianity that teaches extra-biblical doctrines as a result of denying Sola Scriptura (In Europe it took the form of the ‘magisterium’ and in Africa it is in the form of Pentecostal ‘prophets’). 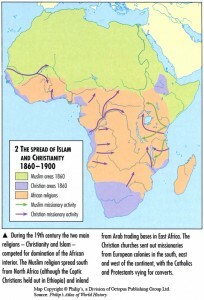 ‘African Reformation’. Followed by the effects of the Biblical form of Protestantism like economic and social development, as is characteristic of other historically protestant nations .